Sign up with your email address to receive Pacifico news, announcements, exclusive videos and the secret to perfectly soft double-chocolate brownies before anyone else! We respect your privacy and we won’t annoy your inbox. We never share your information with third parties. Thank you for becoming part of the collective that we call Pacifico! Keep on keeping on. Psst: The secret ingredient for amazing brownies: Even more butter. Over the years Pacifico has had anything from one to ten members. The idea: You bring your own soul and skills to the table and together we create a communal product that is honest, genuine, and lifts up every human involved. Every single piece of art that we produce stems from a collective effort and you can be part of it! 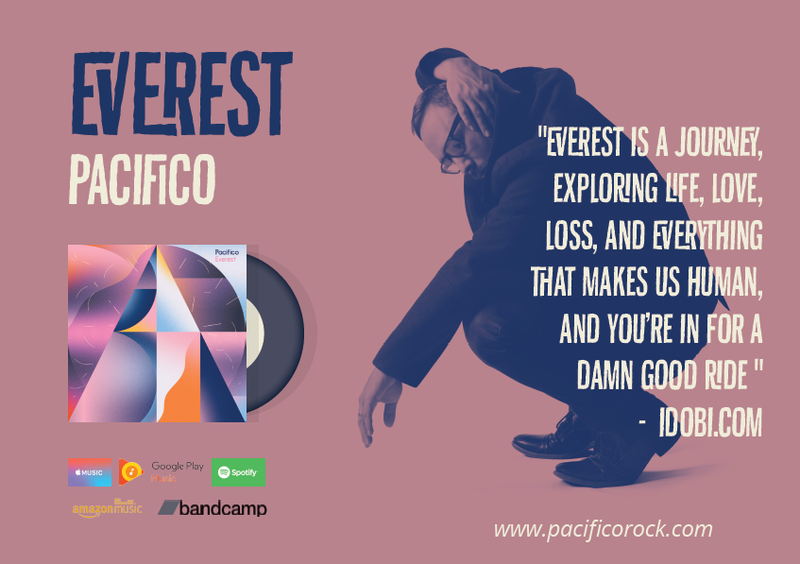 Currently, we are asking for submissions for creating remixes of the songs of Everest. There's already a plethora of out-of-this world remixes that we can't wait to share with everyone. We always love to hear, see, and get to know your art. Whatever it is you do, come connect with us. We can't wait for you to join our tribe! It means the WORLD to us when you come watch us perform live. What good is music if it's not shared and experienced together? If you'd like to help get the word out about upcoming shows and this project in general, we would love to hand you some flyers (↑) made by the amazing Laniebird Design that you can pass around. Give them to your friends, your enemies, your bus driver, and your yoga teacher. Everyone needs some more music in their lives, AMIRITE?